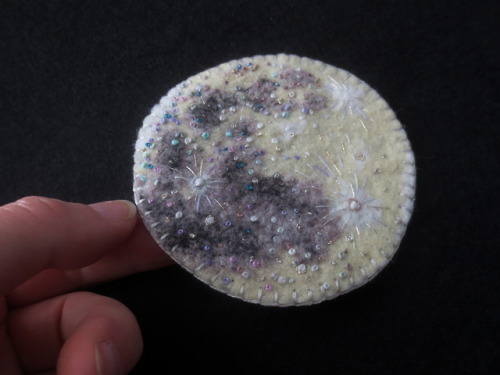 lies.com » mydonkeyfeet:I finished my embroidered moon to go with my sun…. 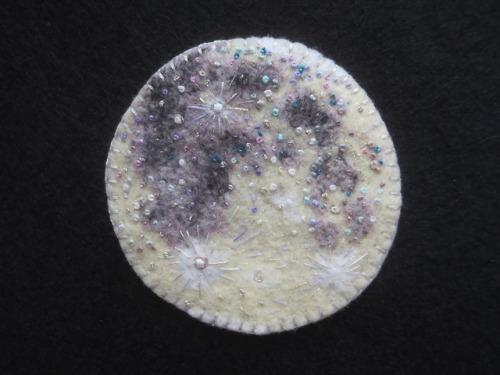 mydonkeyfeet:I finished my embroidered moon to go with my sun…. 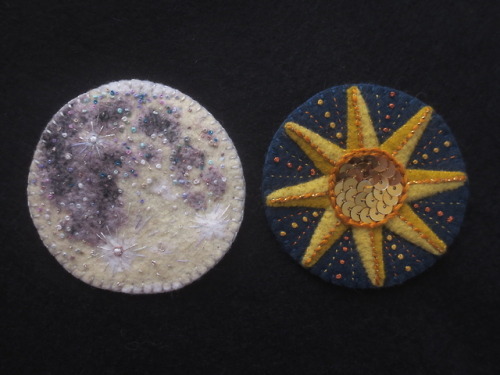 I finished my embroidered moon to go with my sun. It was so much fun to do all the little French knots and the rays from the craters, and to try some new kinds of metallic thread. 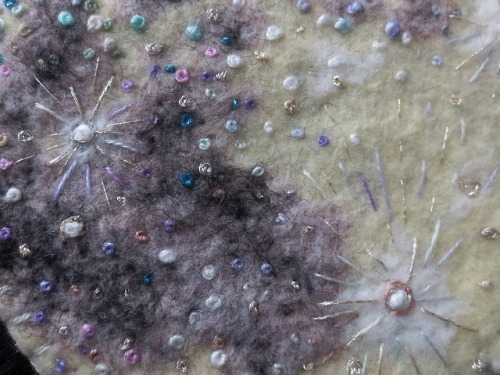 The larger areas are needlefelted. This entry was posted by jbc	on Friday, April 12th, 2019 at 12:08 pm	and is filed under Tumblr. You can follow any responses to this entry through the RSS 2.0 feed. You can leave a response, or trackback from your own site.